Yes! Its done! 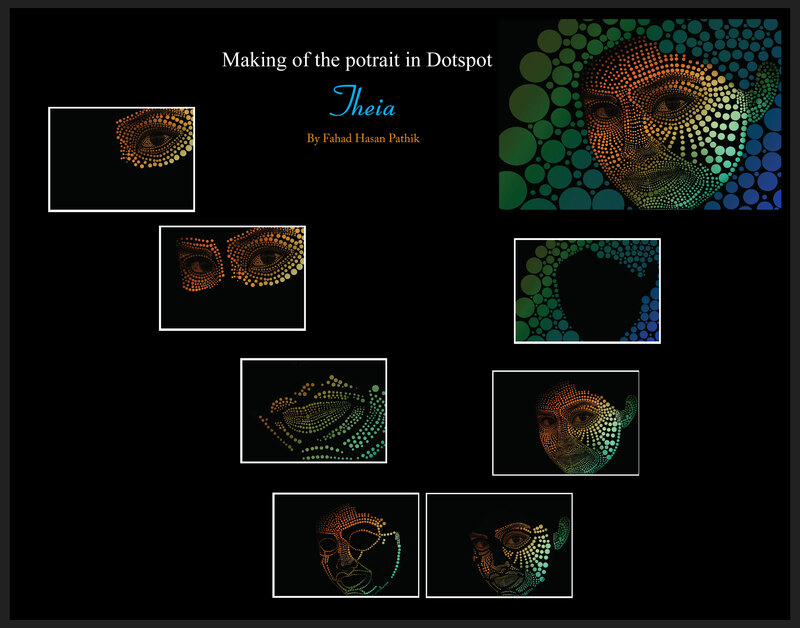 Here is the making of the portrait of Theia ( A Dotspot Artwork)! Some snap shots from my book. Here I am showing you how the whole process has been done. These are some topologies I have made for the portrait. Fill it up with dots one by one. You can click the image for larger view.